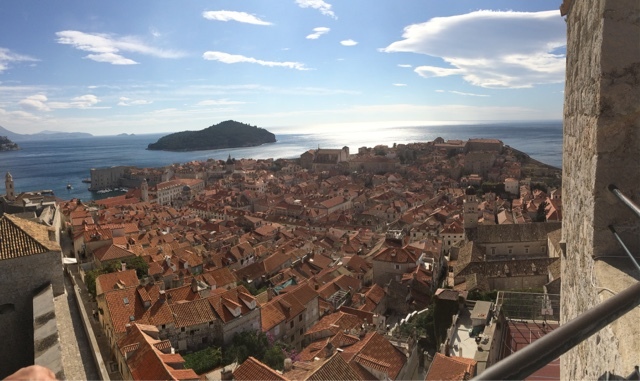 Dubrovnik is Croatia's most famous destination, and it certainly should be visited if you're in the area. By coming from Bosnia and Hercegovina we approached this part of the Croatian coast from the hinterland which was quite spectacular. We camped in paid camping at Mlini and took the bus to Dubrovnik. We'd recommend staying, as we did, on the coast and taking the bus or boat into the old city (the boat was unavailable during our visit). 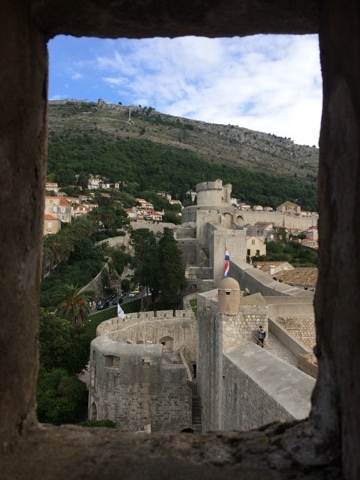 Dubrovnik through a window in the wall.